Strawberryfield Red Red Wine STDcsd "Chinook"
If you are interested in a puppy from this litter please contact us in time! We are looking for active people for our puppies and would appreciate if the dog later has the chance to herd. But this is not obligatory. Other activities like agility are also ok, at least the dog should be engaged to everyone's satisfaction. 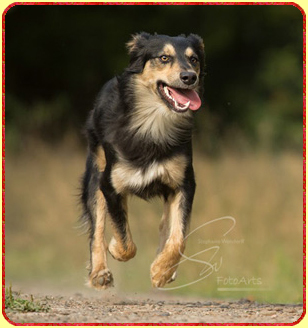 If you are thinking about getting an Australian Shepherd puppy from us or any other breeder we would like to recommend considering these tips. You can read about our breeding goals here. You may read here where our puppies will be born and grow up.